Hamacher Resource Group associates have always been generous with their support of different employees’ causes that are near to their hearts. One of my charities has benefitted from this generosity. In February, it will be five years since I began volunteering for Golden Retriever Rescue of Wisconsin (GRRoW). My husband discovered this rescue when we lost one of our golden retrievers after a brief illness. Our remaining golden was so depressed with the loss of her soulmate that she would snuggle with a stuffed golden. Because the rescue matches dogs with their forever home instead of people picking a dog from a photo and bio, it wouldn’t be possible to get a dog quickly to help our pup. A volunteer suggested fostering a dog, so we became volunteers and went through the training. A bonded pair needed a foster home, and we quickly accepted the challenge, as we had previously had three goldens. We ended up adopting the two dogs, and our dog quickly accepted her new sisters. We have gone on to foster four additional dogs and will continue to do so. (Visit the HRG Facebook page to see my dogs - Annie, Molly, and Buddy - who have joined me at the office for Take Your Dog to Work day.) It is rewarding to see a dog move on to its forever home. GRRoW is a 501(c)(3) and relies completely on donations and fundraising, so I have hosted some fundraisers at Hamacher for them. We have had dog-themed lunches that included hot dogs, mini corn dogs, and breadsticks twisted to look like dog bones. Employees donated the food that was served, and the money raised during the lunch was donated to GRRoW. There are other opportunities where employees continue to participate in activities outside of the office too. 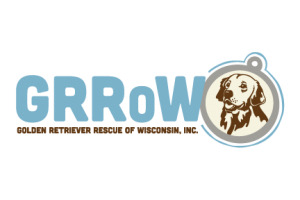 Many have attended restaurant and brewery fundraising nights, bought items where a portion of the purchase is donated to the rescue, and purchased GRRoW merchandise. It all adds up to help the dogs. The foster home is responsible for paying for food, treats, toys, or other needs the dog may have. GRRoW uses the money raised to help pay for the medical or specialized training expenses of the dogs in foster care. While many dogs are just brought up to date on their shots and may need to be spayed or neutered, some have more difficult issues, such as hip and shoulder problems, ectopic ureters, seizures, and hydrocephalus which can cost thousands of dollars. Some dogs are not adoptable because of their condition and become forever fosters and will remain GRRoW dogs for the rest of their lives. This is one example of the giving spirit my coworkers have. I appreciate everything the employees of HRG have done to help support GRRoW. If you would like to help, please visit grrow.org. And please follow along the rest of the year as we highlight other charitable organizations we supported during 2018.